You’ve probably never heard of it, but it’s fairly likely that you’ve seen it. Manifested as dark streaks on a dry house, that is not just the effects of water flow. It’s an accumulation of dead gloeocapsa, or what many commonly call roof algae. 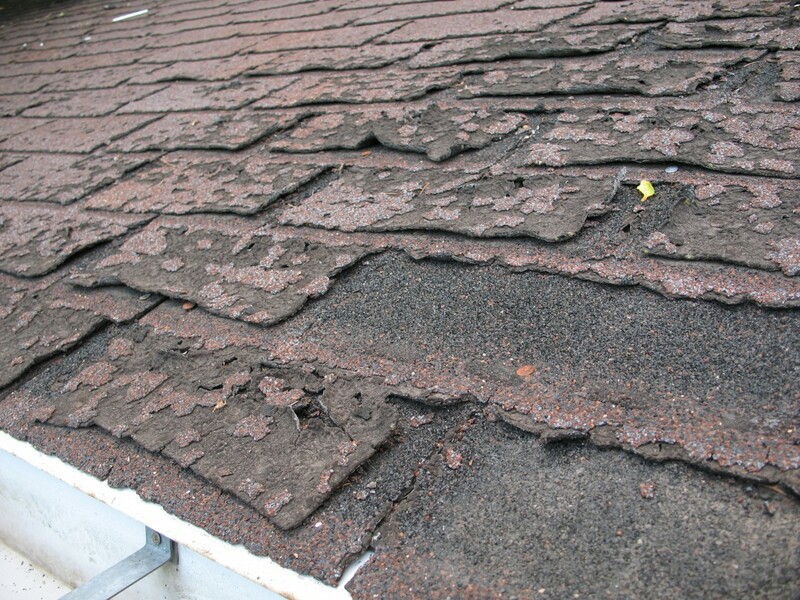 It’s not just a discoloration but an actual disintegration of your shingles and can greatly decrease the life of the roof. Ironic solution? Some roofers now put small flakes of copper in the roof to kill the algae. Why not just use copper in the first place? Shingles are about as permanent as a celebrity marriage- perfect in good circumstances but any strong storm can knock them off. The costly loss of shingles is one of the most commonly reported damages when it comes to home insurance. Strong winds and rain are not the only issue. Snow and freezing rain can wreak havoc on a shingle roof, exploiting the slightest openings that even skilled contractors will miss. Believe it or not, shingles can be susceptible to UV rays. They can dry and crack, much like the skin of a person but over a longer period of time. If not maintained and protected, they can eventually warp enough to break loose, causing further damage and making an opening for a new problem. Insects are not inherently attracted to shingles, to them it is just rock. But they have a keen enough smell to know that wood is underneath and below that the wafts of human food. Metal is not prone to sun damage and is actually known to repel bugs given its higher surface temperature. Birds are often found on roofs, pecking at bugs or nesting in corners. Their constant scraping and acidic droppings can cause long term issues. They often return even when chased away and are particularly hard to remove. Another pesky visitor is raccoon. They have been known to tear up shingles when the roof has any air leaks that tempt its curious nose. The high friction surface makes it easy for creatures to pry and poke, while metal roofs are slippery and lack handle-holds.